Make yourself at home in one of the 48 air-conditioned rooms featuring refrigerators and minibars. Complimentary wired and wireless Internet access is available. Bathrooms have separate bathtubs and showers and hair dryers. Conveniences include phones, as well as safes and desks. Comfort and efficiency are the hall mark of Atlas Hotel?s well designed and equipped spacious rooms, which include Single, Double and Suite. Multi-cuisine restaurant, round the clock room service, Wi-Fi internet. Same day Laundry, Ample car park, Satellite channels and International Direct Dial from every room and Business visa assistance. 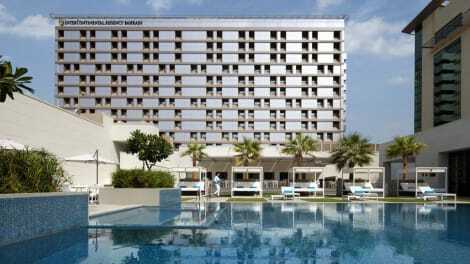 Make yourself at home in one of the 250 air-conditioned rooms featuring minibars and LED televisions. Complimentary wireless Internet access keeps you connected, and satellite programming is available for your entertainment. Bathrooms have showers and bidets. Conveniences include safes and coffee/tea makers, and housekeeping is provided daily. Grab a bite to eat at one of the residence's 10 restaurants, or stay in and take advantage of the 24-hour room service. Snacks are also available at the 4 coffee shops/cafés. Relax with a refreshing drink from the poolside bar or one of the 3 bars/lounges. Buffet breakfasts are available for a fee. Featured amenities include a 24-hour business center, limo/town car service, and express check-in. Planning an event in Manama? This hotel has 0 square feet (0 square meters) of space consisting of a conference center and meeting rooms. A roundtrip airport shuttle is provided for a surcharge (available 24 hours), and free valet parking is available onsite. 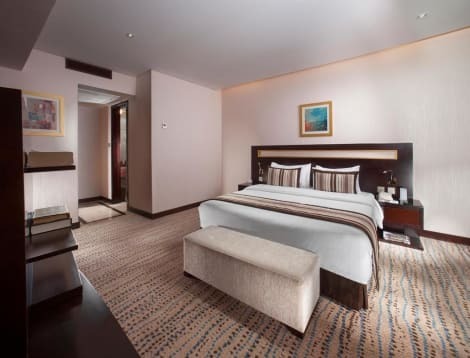 lastminute.com has a fantastic range of hotels in Manama, with everything from cheap hotels to luxurious five star accommodation available. We like to live up to our last minute name so remember you can book any one of our excellent Manama hotels up until midnight and stay the same night.